EATING SEASONALLY FOR YOUR UNIQUE CONSTITUTION: SPRING! More details: For more details about Seed to Salve Retreat and to register, please click here. For more information about the Seed to Salve 2015 Crew, please click here. For more details about Windy Hollow Farm, please click here. Spring Reset 21-Days for Nourishment and Self-Care so that YOU can be your best self. 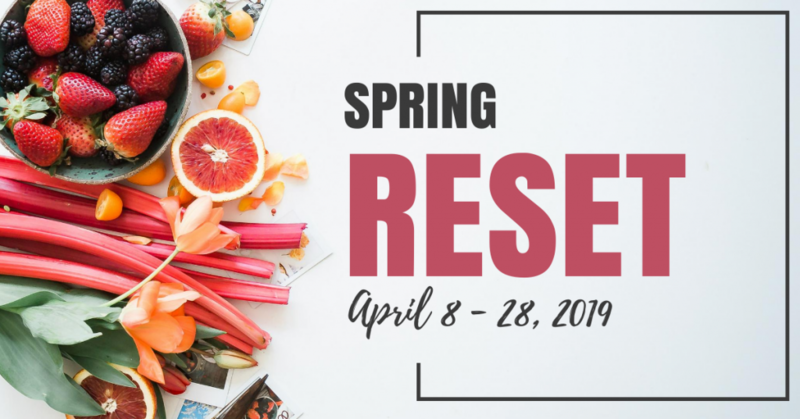 The Spring Reset is April 8 - 28, 2019. It is designed to provide you with the necessary guidelines, meal plans, support, and community to help you get back to the way you were meant to feel!